NORPAC’s president is Ben Chouake, a New Jersey physician. In a 2009 debate with Jeremy Ben-Ami—head of the liberal-leaning Israel lobby organization J Street, which supports a two-state solution to the Israeli-Palestinian conflict and has criticized the Israeli government’s intransigence on the issue—Chouake declared that NORPAC’s “job is to defend Israel in Congress,” which Chouake suggested meant not criticizing Israeli policies or U.S. support for them. NORPAC’s legislative agenda was laid out in a talking points memo it distributed to lobby day supporters in May 2013. The memo called on members of Congress to oppose cuts to the $3 billion annual U.S. aid package to Israel, to endorse a resolution pledging U.S. support for Israel in the event of an Israeli attack on Iran, and to support legislation officially designating Israel “a strategic partner” of the United States, which would enable visa-free travel between the two countries. (Observers have pointed out that Israeli leaders tend to oppose this latter provision because it could limit Israel’s ability to restrict the travel of its American critics.) In the past, NORPAC has also claimed credit for curbing U.S. arms transfers to Arab countries on the grounds that the weapons could be used against Israel. Among the charges Chouake levied against Hagel were that he had refused to sign a letter in support of Israel during the Second Palestinian Intifada in 2000, voted against extending sanctions on Iran and Libya in 2001, and declined to “formally call upon the European Union to declare Hezbollah a terrorist organization” after the Israel-Lebanon war in 2006. 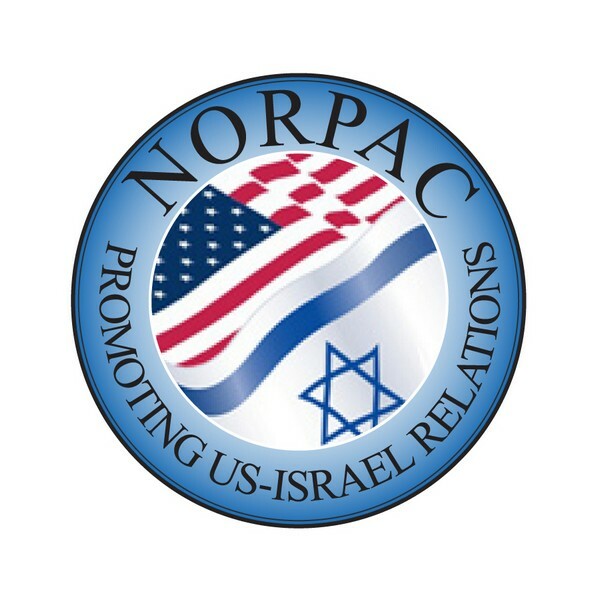 In contrast to AIPAC, which spends money on lobbying but does not donate directly to candidates, NORPAC donates money directly to political campaigns. During the 2012 election cycle, NORPAC donated $62,330 to Senate Democrats, $54,741 to Senate Republicans, $10,603 to House Democrats, and $6,350 to House Republicans. Among its numerous beneficiaries that year were Republicans Reps. Eric Cantor and Ileana Ros-Lehtinen as well as Democrats Sen. Chuck Schumer and Rep. Nancy Pelosi. According to OurJerusalem.com, NORPAC members had “hosted more than 200 members of Congress in their homes, including the majority of the Senate” as of 2009. 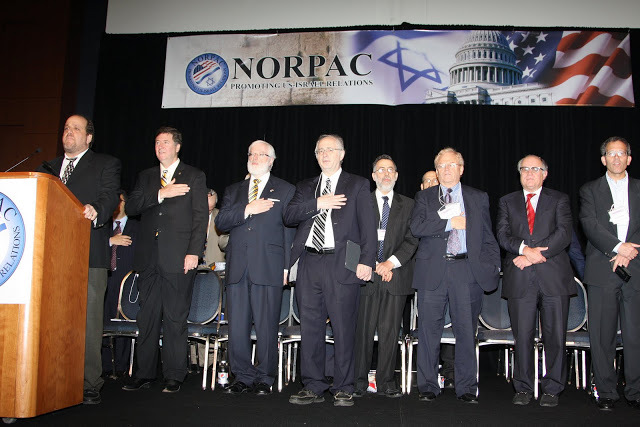 Several AIPAC leaders, including current president Michael Kassen and former president David Steiner, have used NORPAC to personally donate thousands of dollars to campaigns. Eli Clifton, “NORPAC Helps House Hawk Attack Iran Deal,” LobeLog, January 8, 2016, https://lobelog.com/norpac-helps-house-hawk-attack-iran-deal/. OurJerusalem.com, “NORPAC v J Street: Israel’s Advocate v Israel’s Prosecutor,” May 28, 2009,http://www.ourjerusalem.com/opinion/story/norpac-v-j-street-israel%E2%80%99s-advocate-v-israel%E2%80%99s-prosecutor.html. Marsha Cohen, “NORPAC: The Mission and the Message,” May 8, 2013, http://www.lobelog.com/norpacs-mission-and-message/. Marsha Cohen, ” AIPAC, NORPAC and Hagel,” Lobelog, February 4, 2013, http://www.lobelog.com/aipac-norpac-and-hagel/. Ben Chouake, “Senator Hagel’s Divisive Nomination,” NORPAC, February 12, 2013, http://norpac.net/blog/op-ed-senator-hagels-divisive-nomination. NORPAC, “Concise list of NORPAC-supported candidates,” http://norpac.net/blog/concise-list-of-norpac-supported-candidates. Who Is Bankrolling Mark Kirk? Did the Pro-Israel Lobby Contribute to Eric Cantor’s Defeat?